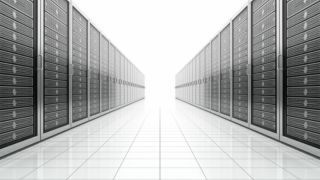 The Met Office has announced that it has purchased a £97 million (about $156 million, AU$ 177 million) number cruncher from US super computer manufacturer Cray. The XC40 is 13 times more powerful than the system it replaces, an IBM Power 6 system with a computational performance of 1PFlops. Cray's model can reach 16PFlops at full speed (about half the performance of the current super computing champ, China's Tianhe-2 and worth more than 100,000 Sony PS4 gaming consoles). Other interesting titbits include the fact that it has 480,000 cores, with 12Tbps of available bandwidth, two ExaBytes of memory (that's two billion GBs) and 17 Exabytes worth of storage (more than four million 4TB hard disk drives). The new super computer weighs 140 tonnes and will be able to apply very high resolution models (down to 300m) for certain scenarii. The XC40 is expected to be delivered in phases between 2015 and 2017. Cray didn't say how much power the new Met super computer will consume. The previous IBM one sucked in 2.5MW of electricity, the equivalent of 2500 standard kettle running concurrently.